Home / CELEBRITY NEWS / FANTASY/SCI-FI / Logan Lerman Reprises Role in "Percy Jackson: Sea of Monsters"
Logan Lerman Reprises Role in "Percy Jackson: Sea of Monsters"
The much adored teen demigod Logan Lerman aka Percy is back in "Percy Jackson: Sea of Monsters" to face his most perilous adventure based on Rick Riordan's best-selling second book of the same title. 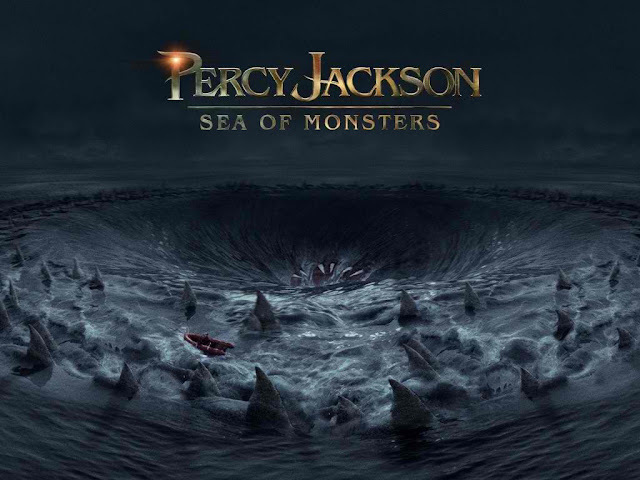 Following the successful wave of the first movie "Percy Jackson and The Lightning Thief," the latest adaptation, "Sea of Monsters" brings Percy along with his friends in uncharted waters to battle terrifying creatures and the ultimate Evil to retrieve the Golden Fleece and bring it back in time to save their world. The beginning of the second adaptation of Rick Riordan’s best selling “Percy Jackson” book series finds our hero doubting himself and not living up to his potential. Feeling abandoned by his father and finding out that he has a half-brother Tyson, who is a Cyclops, Percy soon deals with an enormous task ahead along with his teen demigod friends Annabeth and Grover along with his newfound brother Tyson to save their world from extinction. If shocking family revelations weren’t enough, Percy must deal with Polyphemus, an enormous and powerful Cyclops; Charybdis, the sea monster; the raging Colchis Bull, a giant, metallic and fire-breathing creature that attacks Camp Half-Blood; the Manticore, a formidable monster with a lion’s body and a long, scorpion-like tail; and the ancient Oracle, an ancient mummified mystic with empty eye sockets and skeletal features. In this sequel, Alexandra Daddario also returns as Annabeth Chase, the demigod offspring of Athena, goddess of wisdom, the role she created in “Percy Jackson and The Lightning Thief.” One of Percy Jackson’s best friends, she joined Percy on his quest to find the Lightning Thief and once again to recover the Golden Fleece. Percy has a lot at stake, according to Freudenthal. “He’s trying to save Camp Half-Blood and prove himself as a hero. He’s grown distant from his father, who is not really responding to his requests for help. Percy embarks upon his ‘odyssey’ for two reasons: to save his home, and to ascertain if he is indeed a hero.” The director says he wanted to depict the overlap of the real and mythological worlds. The demigods return when "Percy Jackson: Sea of Monsters" is now showing in movie theaters nationwide from 20th Century Fox to be distributed by Warner Bros.